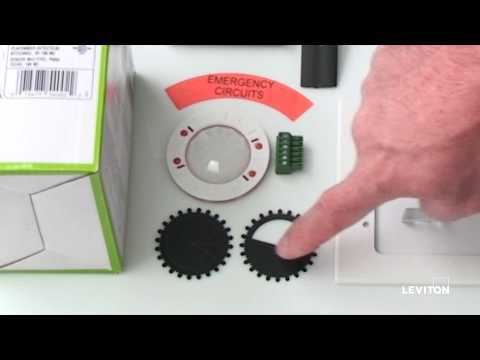 Leviton Dual relay vacancy sensor in white color, features passive infrared and ultrasonic technology. It has sensing distance of 1000-Sq-ft. Sensor requires 120 - 277-Volts voltage and 30 - 60-Milli-Amps current for operation. Sensor measures 4.8-Inch Dia x 2.39-Inch. It offers output short-circuit protection. The test mode feature ensures simplified commissioning. 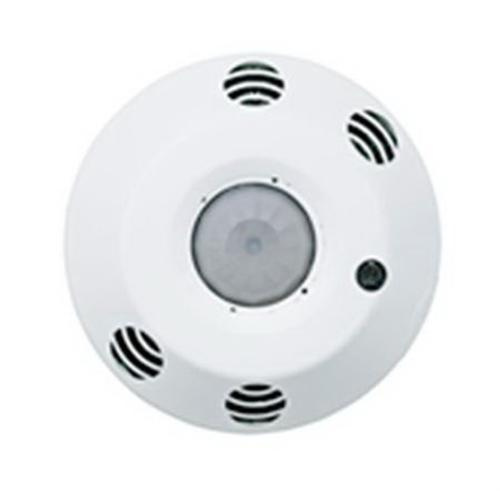 It is ceiling mounted at height of 8 ft. Sensor operates at temperature of 0 to 40 deg C. Sensor is cUL listed, CE certified, RoHS/NY compliant and meets NOM standards.